A real friend knows how to take a great photograph. That’s the way most view things in 2019. Either that, or you take the classic selfie yourself. Hold the iphone or Android smartphone high in the air at a downward angle and snap. Military smartwatch, dubbed the T1-Watch by many, is changing the perfect selfie-photography world with new camera feature. What’s the new smartwatch function? What else can the T1 Tact MD do with an Apple iPhone or Android smartphone? The ‘T’ is a tactical smartwatch by an American brand called “T1 Tact Watch.’ Properly named the “Midnight Diamond” for it’s black color and gemstone like durability, it’s not just for military and armed security services anymore. The T1 Tact Watch brand has added all features of the popular wrist gear and it’s got something for photography enthusiasts and espionage artists. The ‘Midnight Diamond’ has a remote control app that syncs with your iPhone iOS or android smartphone via bluetooth. Once activated, at the press of a button on your wrist wear, your phone will snap a selfie or group photo. The T1 Tact Watch technology makes the always needed camera operator no longer a necessity. No need to ask a stranger to hold your smartphone or ask the 1 male companion to take pictures of all the ladies. Instead, he or she who controls the watch is the maestro for the photo shoot. If a little time is needed to prepare for the perfect shot, it’s not a problem. If your Apple iPhone or Android device has a timer (which it should), it will be activated by the watch. Simply pre-set the timer function and at the press of the T-watches’ button, the countdown will begin. This is one of few smartwatches that meet true military or tactical needs. It has a large LED screen for easy viewing of time, date, stopwatch, alarm, or day. It also syncs with smartphones for gym and exercise apps that are Step Counters and a Sleep monitors. There’s also an application that will analyze your weekly workout & sleep data to help improve your overall health. There are a few other features beyond these, but you can visit T1TactWatch.com for a full list of specs. The smartwatch is rated a Top 3 pick of tactical gear for your wrist by various outlets. At a price of $69.99, no competing brand rival its durability and useful functions. It’s become heavily popular in the USA, UK, India, Australia, and other European countries. One thing to note about the T1 Tact Watch, there’s a ton of fake web shops popping up on-line. The official brand is based in the United States of America. It’s registered with the US government officially. 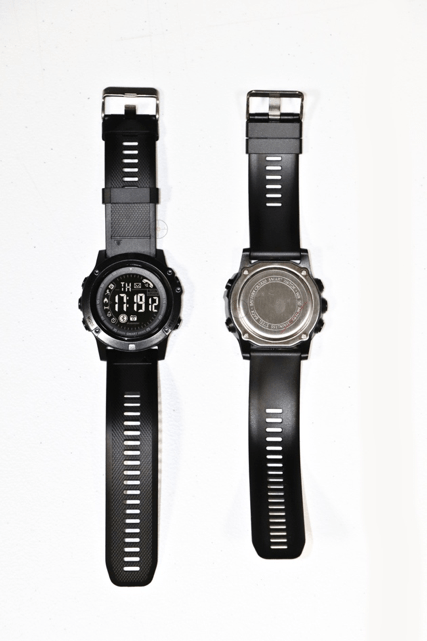 The official brand website lists T1Tactwatch.com as their official store and website. The company blog is T1TactSmartwatch.com . The blog shows relevant news and editorial links, along with instruction manuals to help consumers that lose their original booklet.